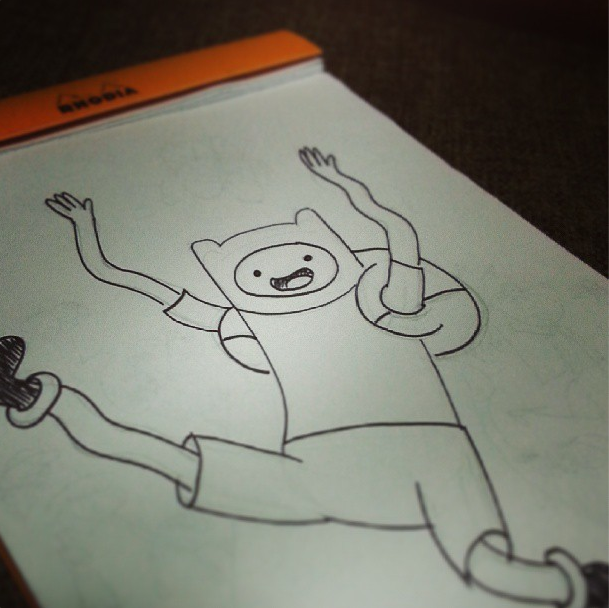 i was killing time earlier when i drew this image of Finn. when my daughters who are fans of the show saw it they immediately took turns tracing my pen drawing. 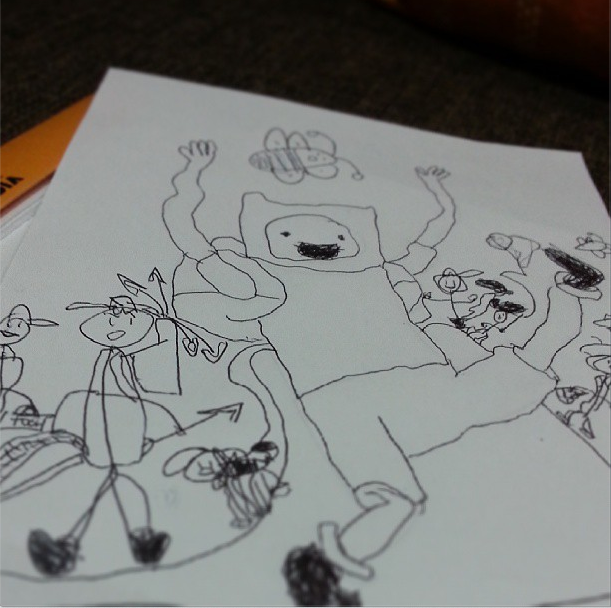 i was surprised to see how my youngest took the single image of Finn to a different level. i am humbled by her imagination.